World War Tweef Is Upon Us! Also Some Real Issues, But TWEEFS! 1. Summary: We covered this one in it’s petty instagram story.Shaq has not officially declared the end, but let’s consider it like the Korea War (technically the war never ended, read a book). Stalemate. BY THE WAY – speaking of two relatively out of sight giants any word on those TWO MISSING AIRLINES of humans over a year ago, or are we just cutting our human losses there? Resolution: Can’t call it. 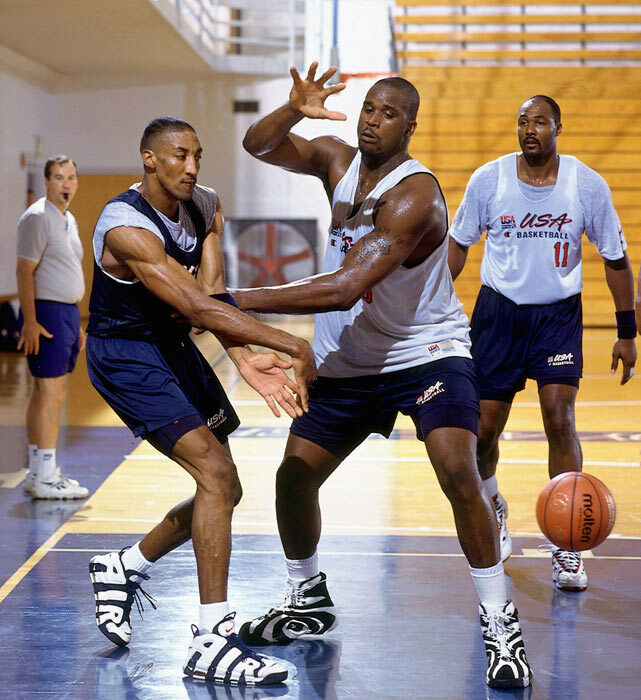 But if the most heartless trash-talkers his Airness, and the heir-apparent Kobe get into this – could turn into a full out NBA off-season Tweef. Let this one breath a bit. You’re welcome, ESPN! BY THE WAY – Speaking of women in uncomfortable positions… any word on indictments of cops in the uncomfortably suspicious death of Sandra Bland in police custody? Resolution: Taylor proposed “you can join me on any stage I win”. So Taylor wins, Nicki takes her up on her generous offer to join her on stage… Sooo that she can talk about how racist show that just gave her that award is.. while Taylor awkwardly waits in the background with her moon-man? Sure America will applaud that move, don’t believe me, Ask Yeezus. 3. Summary: Bruno Mars is from there and who knew Bruno Mars had it in him? He went full-moshpit/bar-fight mode on us! 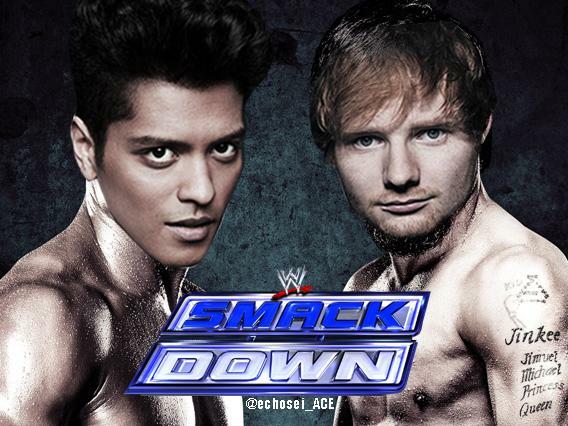 Bruno will catch a grenade – that he himself through – then give Ed Sheeran a big ol’ bear hug to start things off. Seriously though, PHUCK ED SHEERAN. Who does he think he is? The British invasion is over! Stop having so much soul. Sam Smith, you’re on notice. BY THE WAY – Remember that Japanese Fukushima nuclear disaster that spread toxic waste all the way past Hawaii by some estimates? I wonder how that’s comin about. Hey Speaking of Hawaii, Bruno Mars is from there. So that’s a thing. Resolution: This should go on forever. Bruno Mars needs Ed Sheeran like Jimmy Kimmel needs Matt Damon. Easily most entertaining Tweef. Carry on. 4. Summary: Meek Mill also recently found out how “ghostwriting” and co-writing works. He spazzed in familiar fashion all over twitter in an attempt to call our Drake – who ironically provided him with the best song on his recently release album – for being a fraud and “not tweeting his album”. While Drake himself publicly didn’t respond, his creative partner took time to break it down like Barney why Drake is Lebron and every other rapper is well… every other rapper. BY THE WAY – Is a bloated bigotted billionaire really the front-runner of one of the major political parties in this Presidential Election… in 2015 in America? So NOT privileged-bizarro-land, like – this dude’s got some people’s attention. Word. Like Meek, I just found out. Resolution: The internet had a field day ridiculing the “Levels” of irony all over this emotional freakout of the Philly rapper. 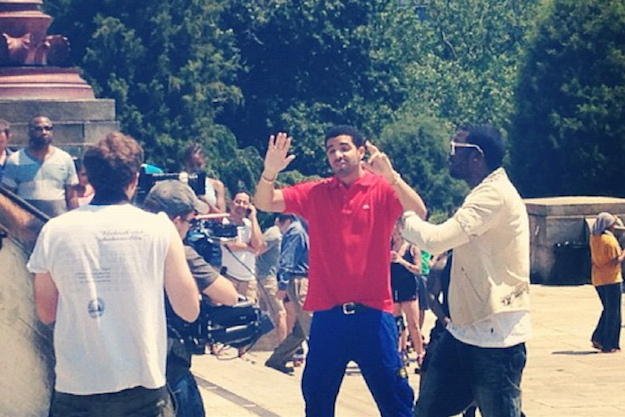 He got the memo, and seemed sort-of-apologetic to the Toronto rapper. Not gonna hold our breath for a future collaboration, though. BY THE WAY – If it comes out that those women knew they were partying with Cosby capsules, does that change the whole equation orrr? Resolution: NONE – it’s fine! 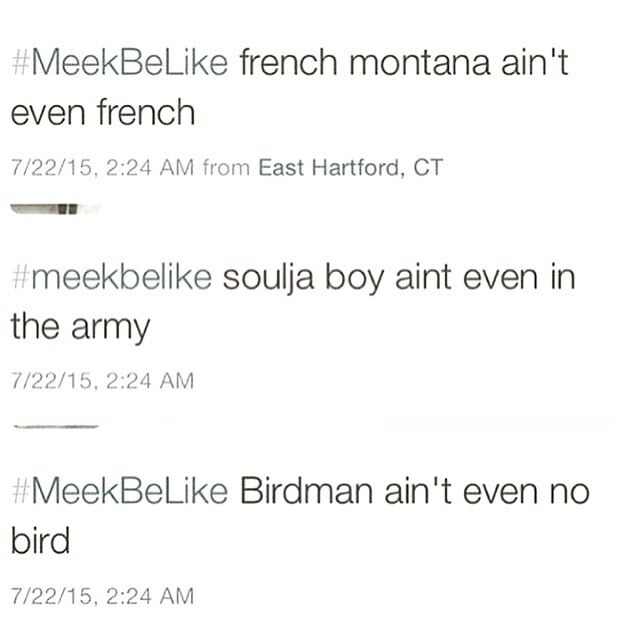 Meek is Germany or Japan right after 1945. He’ll come back to be a juggernaut after a while, but for now – he needs to be ridiculed for his attempt. The phrase “he ain’t tweet my album” will now live in infamy. CONCLUSION: Everybody needs to have their internet taken away for like… A WEEK. Celebrities, everyone’s in phuckin time-out! Just stop! Scottie want that work? NO, SHAQ! Put away your side-kick! Nicki non-threatening to take away one of your countless guaranteed awards, Taylor? Ms. Swift, umma let you finish but, no I’m actually not! Don’t raise your “Bad Blood” pressure. Meek… Meek. WHERE is the comin from? I mean… it helps but.. you know other artists’ twitter are NOT your personal billboard right? You pulled this $hit with your own label-mate, Wale last year. REMEMBER? YALL GOT HIP HOP LOOKIN LIKE MEAN GIRLS, MAN! DAMN! STOP! Internet? You’re cool… just bust that wi-fi open for a real one, though! ON DEMAND, EVERY-TIME. Bruno Mars, you talented midget, YOU! Might as well do an EP with Ed Sheeran, then continue the tweef about makin it, and havin fans take sides. Y’all some fools, and we love it! Tweets Is Watchin. Streets Is Watchin.